Diversity and meritocracy – a marriage made in hell? In an age, where everyone is talking about the benefits of diversity on the one hand and the need for merit based appointments on the other, it bears thinking about how these two marry up and whether they can comfortably co-exist? The topic that comes up repeatedly during our conversations with clients across different geographies, is that while diversity is a good thing, we need to make hiring and promotion decisions based on merit. In principle that seems logical, and few would argue that the “best person” should be appointed to the role. But in practice, organisations have historically operated on a very narrow definition of merit (i.e. what ‘good’ looks like), and have also failed to recognise that assessing an individual’s merit is fundamentally a subjective process, and strongly driven by our own individual in-group bias. Therefore, if we operate on the often false premise that merit is an objective assessment and don’t recognise that we frequently define ‘merit’ as…..something that looks like me – we will fail to achieve the results we would like to see. The evidence is everywhere – we set out with the right intention, but the results certainly speak for themselves – Homogeneity at the top, group-think flourishing, in-groups getting all the opportunities and talent with fantastic potential opting out! 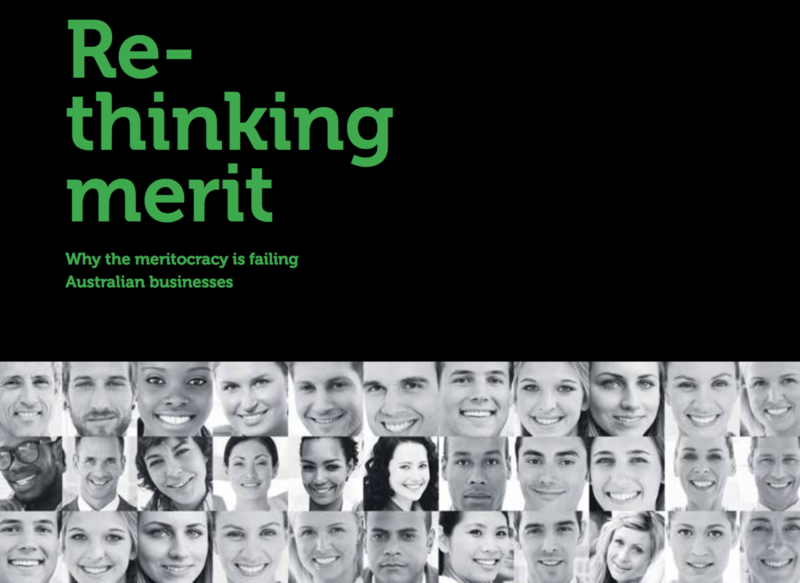 This excellent paper by UN Women Australia uncovers some of the pitfalls of standing behind a simple meritocracy approach in the gender arena and shows that there is deeper thinking to be done on the topic. I hope you enjoy the read.